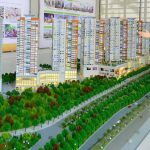 Just like what has been introduced, the super-project “Eco Smart City Thu Thiem” will be a green, smart and luxurious urban area. It not only provides residents with the best living but also becomes a special feature in Sai Gon City. 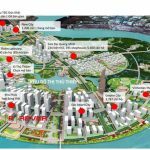 Thu Thiem urban area is divided into eight functional zones and the Eco Smart City project will be developed in the 2A functional area – one of the best functional areas. 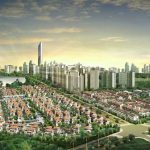 It is invested by three big corporations in the world such as Lotte Group in Korea, Mitsubishi and Toshiba Group in Japan, so Eco Smart City Thu Thiem project promises to bring customers the best products with international standard. 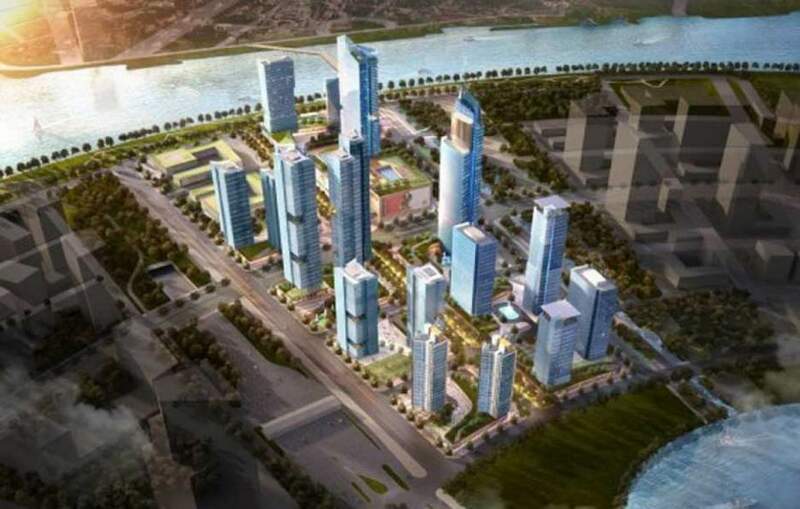 Seeing the development and modernity of Korea, the executive committee of Ho Chi Minh City co-ordinated with the Korea corporations in order to set up Thu Thiem new urban area. In the near future, it will become one of the most developed cities in the region. The total investment capital is $ 1.78 billion, the project includes items such as resort hotels, luxury apartments, crowded commercial center, office for rent, villas, utility areas… All customers will not have to worry about the life here. Everything is extremely wonderful and perfect! West: bordered riverside and Sai Gon park. 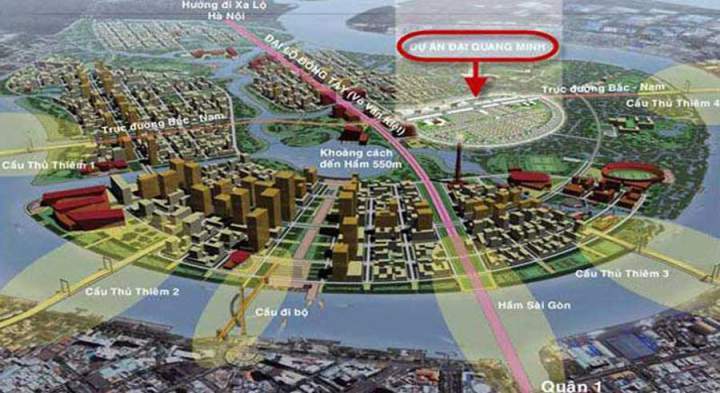 According to the proposal, Eco Smart City Thu Thiem was built on a total land fund of 167100sqm. The land used in the construction of high-grade townhouses is about 125500sqm. The rest is the park and small area. The land is divided into 12 parts. In addition, there is also a 50-storey building. It can be said that a modern urban area will appear on the East of the city in the future. This place will meet the needs of the resident of Saigon in general and the country in particular. The appearance of Eco Smart City Thu Thiem will solve the settlement problems and the population problem. The number of people can live in Thu Thiem Eco Smart City up to 11598 people. In addition, this place will create jobs for 39985 workers and it is also a profitable investment environment for investors. Moreover, Eco Smart City Thu Thiem will be equipped with the modern facilities system. A green, smart urban area with developed economy will be the future target of the project. 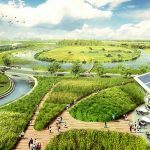 Eco-Design Of Thu Thiem Eco City Has Changed? When is Eco Smart City project Thu Thiem started ?